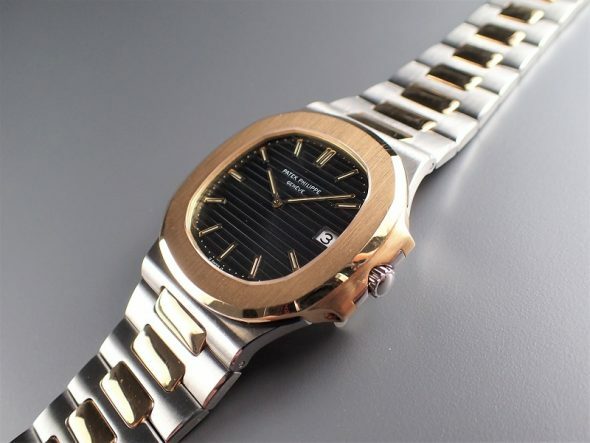 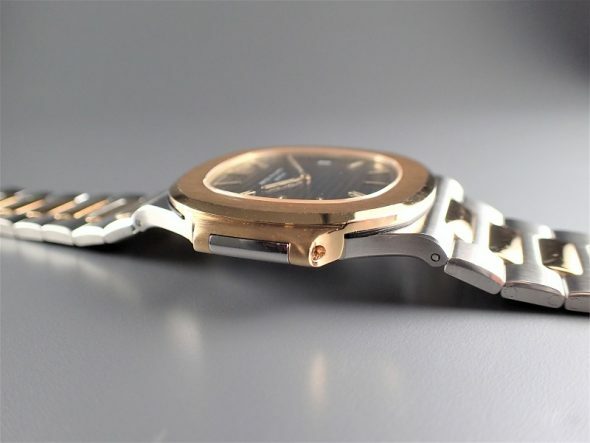 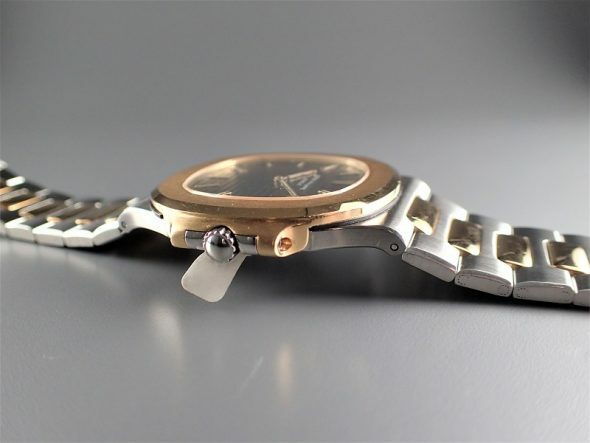 An extremely fine and rare stainless steel and yellow gold self-winding wristwatch ref.3700/001. 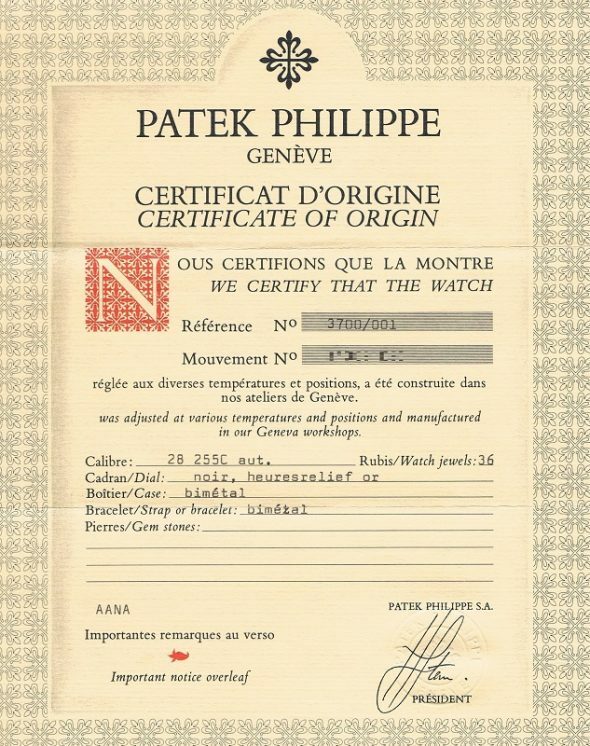 Comes with Certificate of Origin and Extract from the Archives. 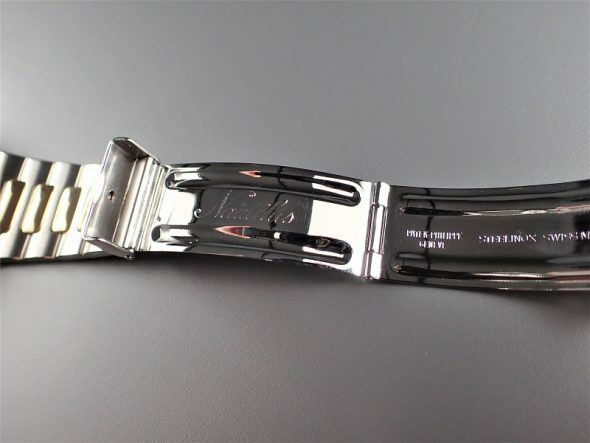 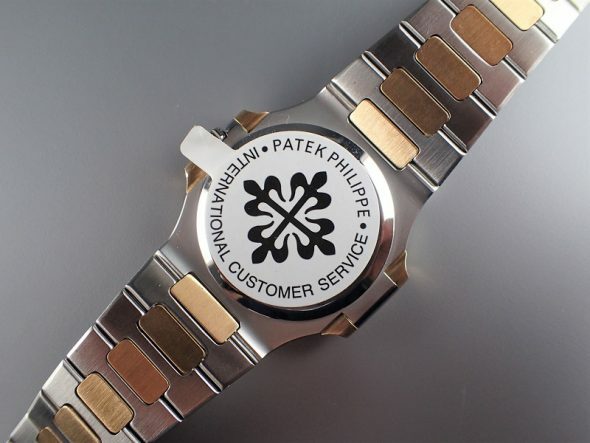 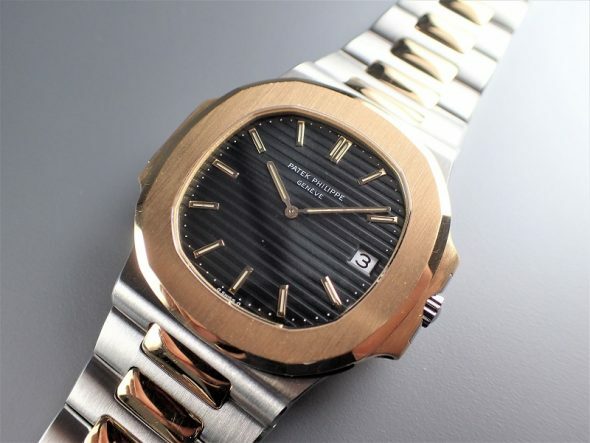 This watch was recently serviced by Patek Philippe Geneve.